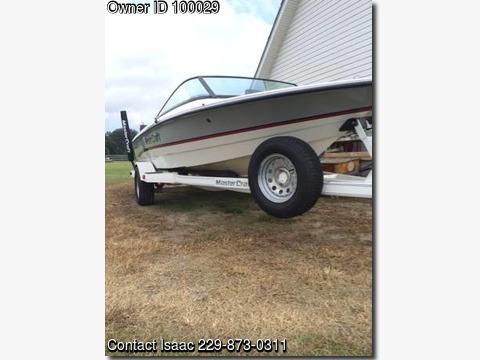 Boat is located in Moultrie,Georgia.Please contact the owner @ 229-873-0311...1992 prostar 190 with the power slot transmission 1600 hrs. The trailer has brand new tires, the boat has a new Holley 4 barrel carb, it was just wet sanded buffed and wax with new oem decals. It has the original interior from 1992 with only a few rips on the motor cover and the driver seat bottom. The carpet is in good condition and the boat runs like a Cadillac. The previous owner put a new shaft and 4 blade performance prop on it a few months before I bought it. I can send more pics upon request but this is all I have at the moment. $10,000 obo.